Speaking at the launch of RTÉ Radio's autumn schedule, Gay Byrne talked to RTÉ.ie about Ryan Tubridy presenting 'The Late Late Show'. The former 'The Late Late Show' presenter said of Tubridy: "He's going to be fantastic at doing it. I've a great, great fondness for Ryan and a great admiration for him. "I think he has all the qualities required, the light deft touch together with a serious mind. I think it’s a great adventure that he's setting off on." Speaking about 'The Late Late Show', he added: "I think the show is now 47 years old or thereabouts and we won't feel it until its 50th birthday. "Ryan will be there doing it at that time and it deserves a great celebration." With regards to the format and style of Tubridy's Late Late Show, Byrne said: "I haven't the faintest idea of what he might have in mind but I've always said about 'The Late Late Show', it is live every week. You start off on Monday morning with a blank page and you decide what you want to do." "I think that the basic entertainment value will always be there. What we discovered over and over again in my time, I'm sure Ryan will discover it as well, that of course we have the personalities and the celebrity film stars when they come our way. No matter how you look at it or what you think about it people are interested in those people but we found again and again that the most successful Late Late Shows very often involved what we would describe as ordinary people. "Anonymous, private people to whom something extraordinary had happened whether it was falling out of an aeroplane or escaping from a burning building or a sinking ship and who had the capacity to tell the story and that was always a sure-fire recipe for arresting people's attention." 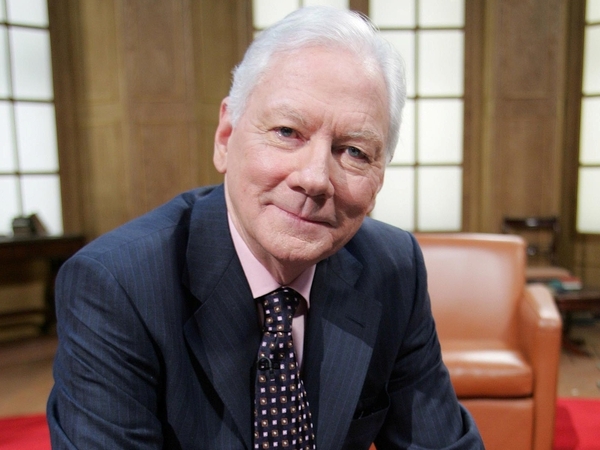 Byrne will be returning to present a new series of his RTÉ Lyric FM radio programme, 'Sunday with Gay Byrne'. For details on the new RTÉ Radio season, click here. To read the full interview with Gay Byrne, click here. For our interview with Ryan Tubridy, click here.